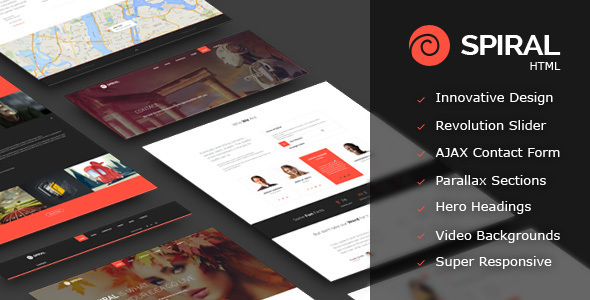 Spiral is a modern HTML5 site template made to look awesome on any size of screen. Spiral is ideal theme for any agency like creative design agency, web development agency, PR agency, fashion agency, as a theme for startup company or well established company. It would also look great for product or service landing page or product microsite. With great collection of elements to choose from and present your product it is ideal theme for any startup company.